New Release: Refilling Your Inkwell by ME! New book release day! I know this one came up fast, but it is now out in the world and I am SO excited! This is my first non-fiction title, and the first book we’re publishing through Weapenry, so good news all around! Erica created this wonderful cover for me, and as always this was edited by Mickey! Meghan also beta read this for me, which was a huge help. So a big thank you to everyone involved. I hope this book can be of some help to those like me who may be struggling to get back into a writing routine and feeling confident in their work. Happy Wednesday, and happy happy happy birthday to Patchwork Press! 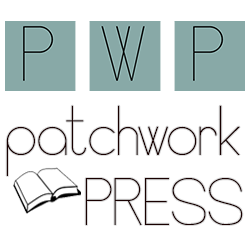 That’s right, Patchwork Press turns two today! It’s hard to believe that Erica and I have been working together on this for two years now, but I’ve loved every minute of it. We’ve learned so much about writing, marketing, self-publishing, working with authors, and so much more. So, in addition to celebrating Patchwork Press today, Erica and I are also launching our next project together… Weapenry, a non-fiction imprint focusing on writing, marketing and publishing. Annndd… the first book Weapenry will be putting out is my first ever non-fiction project. This book happened in a flurry of writing and enthusiasm. I still can’t believe it’s real. So today, because everything is awesome… let’s reveal the cover, shall we! More details tomorrow! Plus, just because you’re here and looking for updates. I also happened to vlog on Monday about all of this exciting stuff, so check that out!